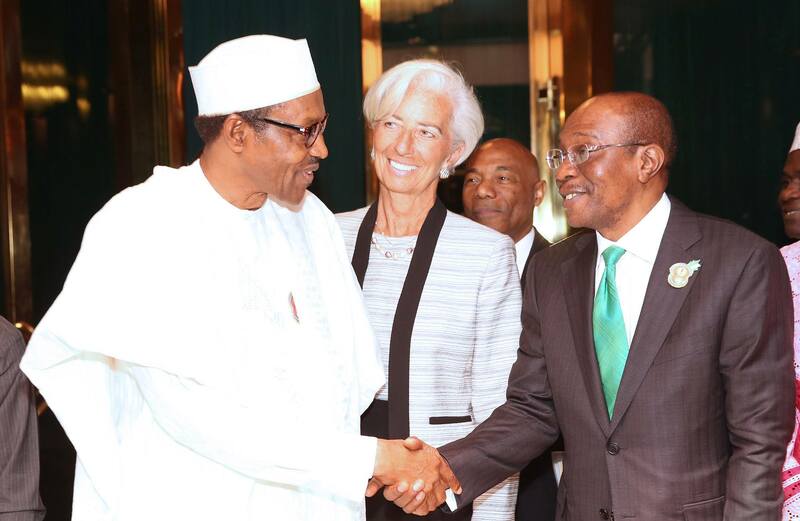 Barely three months after the International Monetary Fund (IMF) had warned the Nigerian government of being mindful of its galloping debt profile both domestic and foreign; the international finance watchdog has extended similar caution to Ghana. Business Hilights Ghana Bureau Chief reports that IMF wants the Ghanaian government to pursue efforts to tackle the country’s remaining challenges which include high debt, large fiscal risks from the energy and financial sectors and governance issues. A statement issued after the recent visit of the IMF chief, Christine Lagarde, the Fund commended the Ghanaian authorities for what it describes as their good track record under the IMF-supported programme but encouraged them to tackle the listed issues. As at November 2018, statistics show that Ghana’s debt stock has reached over GH¢170 billion even as the country’s financial sector is in crisis with the collapse of five major commercial banks and several financial sector operators. IMF caution to Ghana read in parts; “I commended the Ghanaian authorities for their good track record under the IMF-supported program. I encouraged them to pursue efforts to tackle the remaining challenges, including high debt, large fiscal risks from the energy and financial sectors, and governance issues. “Increasing revenue mobilization, preserving financial stability, improving management of the energy sector, and implementing responsible policies will help anchor investors’ confidence,” Lagarde was quoted as saying in the press stamen copied to ghanabusinessnews.com. On the jumping debt profile in Nigeria, the federal government was quick to brush away IMF’s position as the then Minister of Finance, Mrs. Kemi Adeosun assured that even though borrowing spree is ongoing, debt to revenue ratio is still within manageable limits after all. Currently, some industry analysts are beginning to develop cold feet to the former Minister’s claims as it is becoming clear again that the 2019 national budget may, again be powered mainly from borrowed facilities as oil prices continue to nosedive amidst uncertainties. It would be recalled that between 2015 and August 2018, the Federal Government recorded a total shortfall of N2.38tn in independent revenue from its agencies captured under the Fiscal Responsibility Act. The Act stipulates that any government agency that generates revenue must remit 80 per cent of their operating surplus to the Consolidated Revenue Fund account. Some of the agencies are the Central Bank of Nigeria, Nigeria Deposit Insurance Corporation, Securities and Exchange Commission, Nigerian Shippers Council, Nigerian Export Promotion Council, National Health Insurance Scheme, Nigerian Civil Aviation Authority, and Nigerian Communications Commission. Over the years, many of the agencies have been underpaying revenue into the coffers of the government. The development made the Director-General, Budget Office of the Federation, Ben Akabueze, to summon a meeting of the heads of the affected agencies to discuss how to address the revenue shortfall.